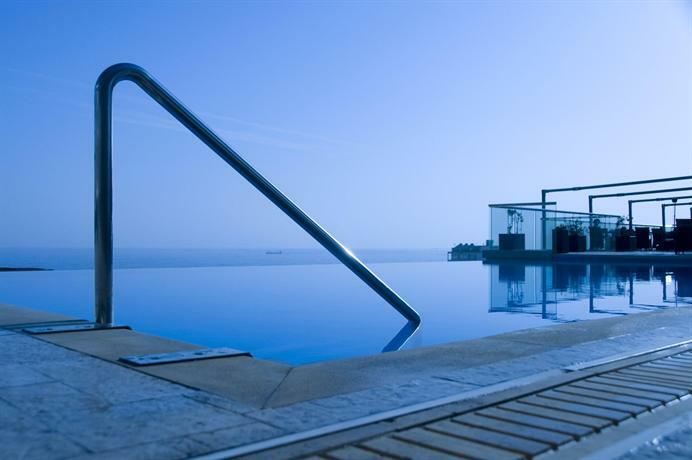 Located on the 9th floor of the 5 star Palace Hotel Sliema the rooftop infinity pool offers panoramic views of the Malta cityscape and the Grand Harbour Marina. The outdoor walk in pool features soft chaise lounge chairs, wicker deck furniture, a shade cabana, sophisticated lighting in the evening, and a pool side SkyBar known as lounge360. lounge360 serves a variety of signature cocktails, as well as indigenous wines and classic spirits. The menu also includes a full sushi menu. The seasonal outdoor pool is open The outdoor pool is open from May 1st until October 31st.